"'Take my camel, dear,' said my aunt Dot, as she climbed down from this animal on her return from High Mass." 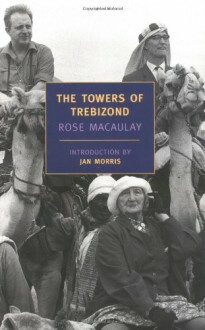 So begins The Towers of Trebizond, the greatest novel by Rose Macaulay, one of the eccentric geniuses of English literature. In this fine and funny adventure set in the backlands of modern Turkey, a group of highly unusual travel companions makes its way from Istanbul to legendary Trebizond, encountering potion-dealing sorcerers, recalcitrant policemen, and Billy Graham on tour with a busload of Southern evangelists. But though the dominant note of the novel is humorous, its pages are shadowed by heartbreak—as the narrator confronts the specters of ancient empires, religious turmoil, and painful memories of lost love.